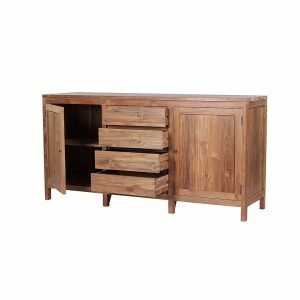 Similar in manufacture to the Waja, the Sajang is another superb example of combining premium reclaimed teak to with stainless steel. 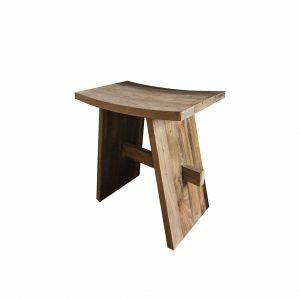 The construction is solid and the heavy weight reclaimed 5cm thick wood table top is fully supported by the stainless structure. There is a matching style bench for this table – the Lepak – Click here for a wood sample. Ombak are able to offer loan tables as an interim whilst your made-to-order table is being produced. Please contact for details. The Sajang industrial dining table has matching benches – see our other listings. 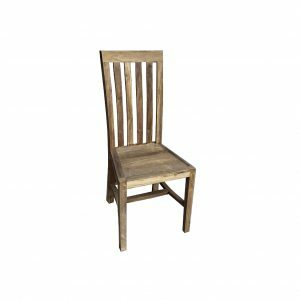 It is part of the Ombak Furniture ‘Bangko-Bangko’ range. Bangko-Bangko is a new range for Ombak, inspired by the immense popularity of our existing Seger TV unit. 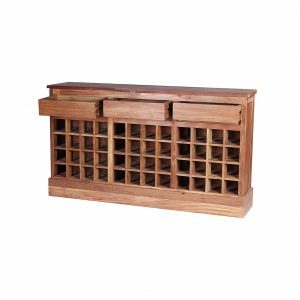 The Bangko-Bangko range really does deliver the ultimate in unique reclaimed furniture. 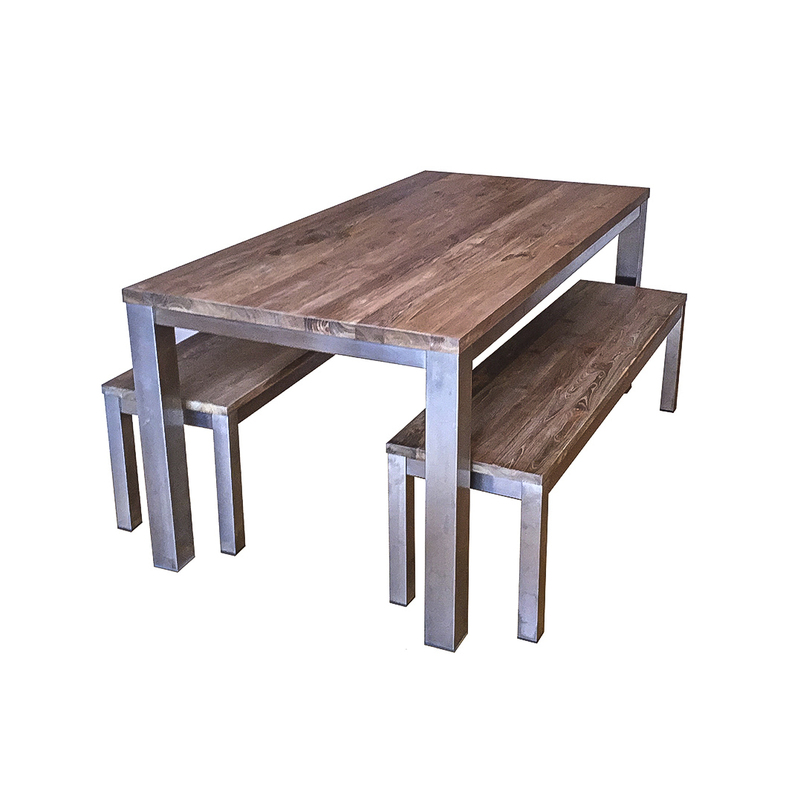 The highest quality reclaimed teak (as used in all Ombak pieces), is combined with immaculately produced, high-grade stainless steel to deliver completely unique reclaimed wood furniture with a slight industrial twist. 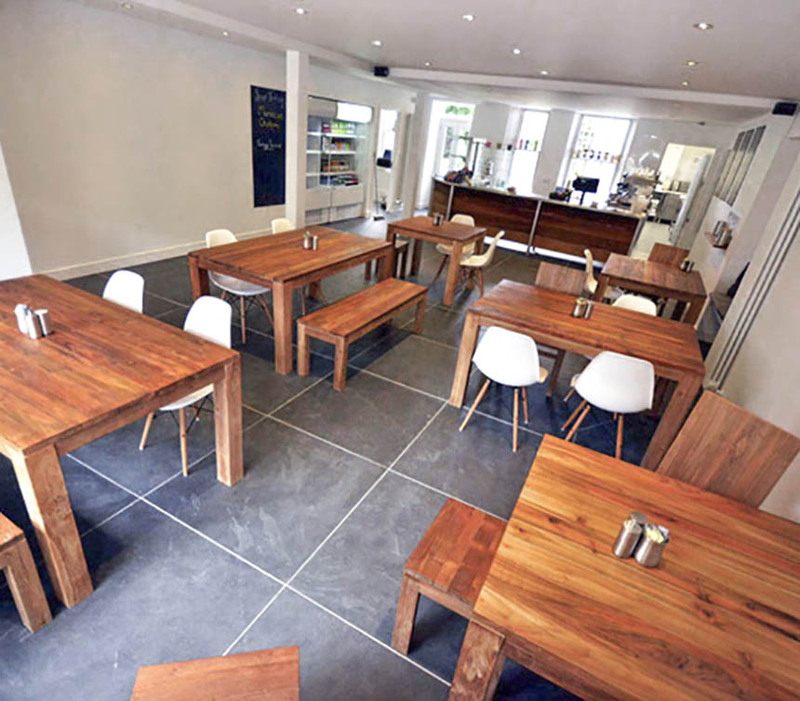 All the furniture Ombak has is made from reclaimed teak, including the ‘Sajang’ industrial dining table. Reclaimed Teak is previously used teak that comes from old Dutch colonial buildings in Indonesia. Modernisation in the far-eastern country has seen many of the old style wooden buildings replaced with brick and mortar. The original buildings were built more than 100 years ago from solid teak, and it is this wood that is recycled to make Ombaks products. With Ombak you are buying more than just an industrial dining table – you are buying heritage, culture and beautiful furniture to live with and base a home around. See our full range of stunning, fully reclaimed furniture. Ombak has a unique spot in the furniture marketplace, providing items such as this beautiful industrial dining table and many more. Ombak provides a unique, fully sustainable product and is able to offer a refreshing alternative to mainstream purchasing. Ombak offers premium eco-furniture at competitive prices.